The sessions vary from indoor creative activities to outdoor sports on the hard courts, the day is balanced so we can operate, be it wet or dry. Children are asked to bring their own packed lunch to ensure enough food is provided to last the day. Lunch is eaten in a group under supervision of all staff. 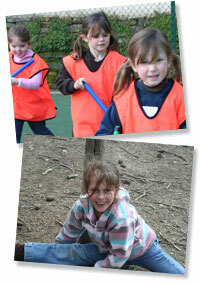 Activities are structured to suit each age range so all children can have a great time.